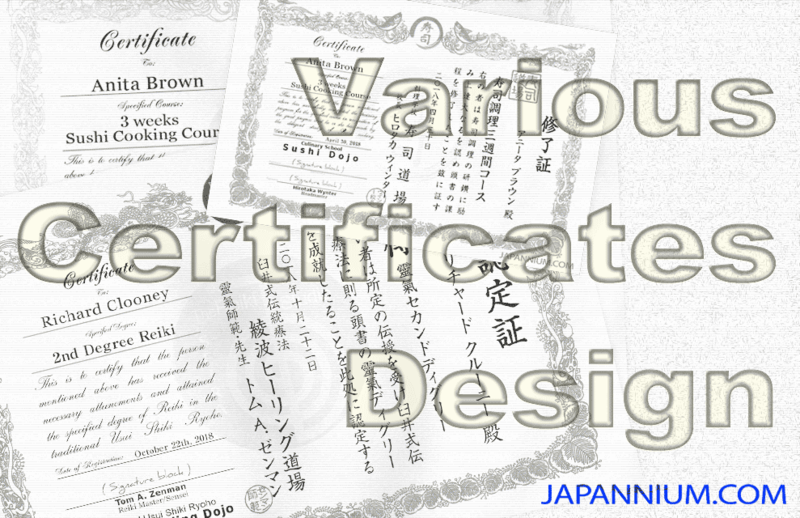 Japanese style certificates custom design service. Both English and Japanese texts are layouted. For various schools related to Japanese cultures.